a little girl writes an open letter to god to express her feelings about being bullied at school! Amy hates Jessica Maloney for bullying her at school. 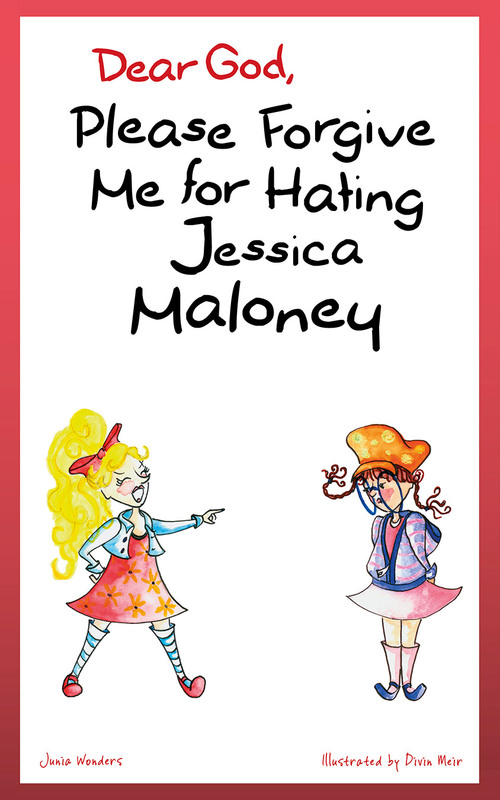 Jessica plays cruel tricks on other kids, and no one dares to challenge her. Not until brave Amy decides to teach Jessica a lesson she will never, ever forget. Dear God, Please Forgive Me for Hating Jessica Maloney is about bullying at school. It is a concise story told from the point of view of Amy, one of the bully’s targets. In a non-violent manner, the school bully experiences what it’s like to be on the other side of the coin and realizes it’s not at all a pleasant experience. The story aims to entertain, which you’ll be able to tell from its humorous approach. However, it does send a very clear message in a straightforward and non-preachy manner: that it is never okay to bully other children. An open letter from a child. 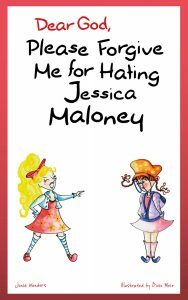 A beautifully written contemporary narrative portraying a child’s personal expression of what it’s like to be a victim of bullying. Nicely illustrated with dramatic artwork painted in watercolor. Values-based: It contains a value implicitly woven into the story. Timeless: The narrative contains an enduring theme that makes it relevant now and in the future. Unique: The book is an expression of a child’s thoughts and feelings from a unique perspective. The story is written in a light-hearted, uplifting way to entertain young children and make them smile. Ideal for that quiet evening when you want to read a story with your child and instill the value of treating others with kindness and respect. It is also perfect for children who enjoy reading on their own.